In the spring of 1861, three young Michigan farmers respond to President Lincoln’s call for volunteers. 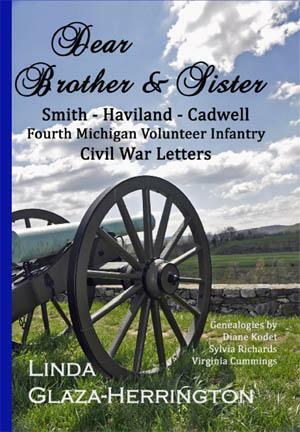 The men muster into the 4th Michigan Volunteer Infantry Regiment. Along with a thousand other men from Michigan’s southern-most tier of counties, they are soon on their way to Washington, D.C. to help defend the Union. The men are prolific correspondents. The fifty-six Civil War letters contained in this non-fiction work provide an intimate window into the men’s lives. They record their daily activities, give their impressions of the battles in which they participate, and express their views on the important political events of the day. The letters are fully annotated and the narrative accompanying the letters not only helps the reader place the letters in historical context but also acquaints the reader with each man’s personal family story. More than 70 pictures and illustrations, many previously unpublished, an extensive name index, and two four-generation descendant genealogies complete the work.